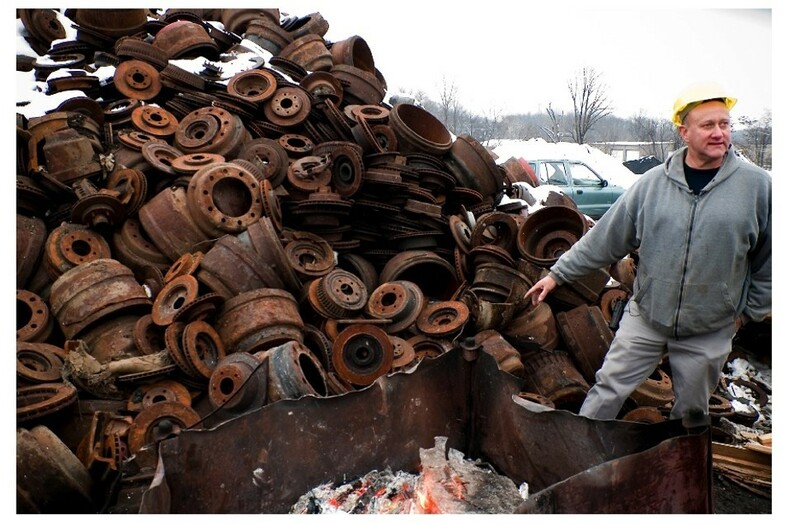 Yesterday afternoon I caught the world premiere of Scrappers, a locally made documentary about Chicago scrap-metal scavengers that screened at the Gene Siskel Film Center as part of the Chicago Underground Film Festival. I direct you to Cliff Doerksen’s review in this week’s paper; I also enjoyed the film quite a bit, though I found it a bit too long. I especially liked the gorgeous score by percussionist Frank Rosaly, which is beautifully integrated into the sound mix. The music includes experimental solo percussion and electronics—occasionally blended with clanging, metallic sounds recorded at the scrap yards where the filmmakers did some of their shooting—as well as ruminative, lyrical quintet pieces performed by Rosaly with vibist Jason Adasiewicz, clarinetists Keefe Jackson and Jason Stein, and bassist Jason Roebke. Scrappers will screen again a 8 PM this Thursday at the Siskel.